Which one of you guys stole my biscuit? How do we cope with the ambiguity of you in English? When we say to a group of friends what have you been doing recently? are we asking just one of them, or two or more of them? Research by Theresa Heyd suggests that young people are resolving the potential ambiguity by coining a new pronoun, you guys, used only when they want to refer to more than one person. She traces the development of you guys over a ten year period in the Friends TV series (noting that young people in Britain are also beginning to use you guys as a new plural pronoun). The six central characters in Friends used both you guys and you when they were referring to more than one individual, but overall you guys was the more frequent form. It accounted for 48 per cent of second person plural forms, whereas you accounted for 42 per cent. Other forms, such as all of you or you all, accounted for about 10 per cent. More important than the overall frequency of you guys, though, is the fine detail of how the characters use the form over the period, as this reveals some of the general pathways through which this kind of language change can occur. You guys seems to have evolved from contexts that are more emotive and discourse-oriented. Its most frequent use is as a vocative, directly involving the people being addressed, as in Phoebe’s hey you guys, I don’t mean to make things worse but umm I don’t want to live with Rachel anymore. Gradually, though, you guys comes to be used in more neutral contexts, and becomes part of the grammatical structure of the language. Over the ten year period it is increasingly used as a subject pronoun (as in you guys were a lot more supportive when I wanted to make denim furniture – again from Phoebe) and then as an object or indirect object pronoun (as in I’ll give you guys a break). At the beginning of the period you guys was heard more often than expected in questions, which also directly involve the people being addressed (since there is an expectation that they will reply to the question), but it is then used more and more frequently in non-questions, a further indication that it is losing its emotive connotations and behaving more like an ordinary pronoun form. to you guys?” uttered by a scientist to the dinosaurs he is studying. In the earliest Friends programmes, female characters lead in using you guys as a plural pronoun. Eventually, though, the male characters overtake them – a gender pattern that is often attested when language changes. One question raised by this study is whether the language heard in Friends accurately reflects the language used in everyday life. Heyd finds that the frequency of you guys in Friends is far higher than in the spoken sections of the Corpus of Contemporary American English for the same ten year period. It is also higher than in a 2008 corpus of email hoaxes. She points out that although the Friends dialogue sounds convincingly representative of the spontaneous English of young urban professionals, it is of course more meticulously scripted, rehearsed and refined than real–life spontaneous conversation. Scriptwriters may strategically employ innovative features such as a new pronoun form to help “stage” contemporary speech. What remains to be seen is whether the heightened influence of innovative forms such as you guys in a popular TV series like Friends might influence the language use of its viewers. Theresa Heyd (2010) How you guys doin’? Staged orality and emerging plural address in the television series Friends. American Speech 85 (1): 33-66. Apes and other living creatures have some ability to communicate, but human communication is unique in relying on a basic shared assumption that we want to cooperate with each other. New research from Germany shows that children who are just beginning to acquire language can already understand this underlying “logic of cooperation”. Three researchers at the Max Planck Institute for Evolutionary Anthropology in Leipzig conducted a series of ingenious experiments with 48 children – 21 girls and 27 boys – aged 21 months. An adult researcher first played on the floor with a child, using several objects that became interesting when something was added to them, such as a torch that could be switched on when a battery was inserted. Later, the researcher sat at a table holding a basket containing the objects in one hand, and taking one object from the basket to hold in her other hand. Both hands, then, were occupied. In the case of the torch, one battery was on the table where the researcher was sitting, and another battery was on a table at the other side of the room. The child was sitting on their parent’s knee, mid way between the two tables. The researcher suggested that they play with the torch again, then pretended to only just notice that both her hands were occupied. She then said to the child “oh but I still need the battery. What do I do now? Can you help me please?” Although the children could have decided to get either of the two batteries to help the researcher switch on the torch, most of them chose to get the one that was on her table. This also happened when the researcher did not ask for help, but instead simply suggested that the child could join in the game, saying “Now you can do it. Take a battery”. Things changed when the researcher had one hand free. This time she again asked for help, holding the torch in one hand and holding out the other hand with the palm up, ready to receive the battery. In this case twice as many children as before chose to go and fetch the battery that was on the table at the other side of the room. The differences in the children’s behaviour, the researchers argue, shows that even very young children take account of the adult’s situation when interpreting a request that is ambiguous. They chose the distant battery more often when it was the only one the researcher needed help retrieving: when one hand was free, she could have easily picked up the battery that was close to her, so the child works out that she must need the other one. Not all the children could do this, but the fact that twice as many fetched the distant object when one of the researcher’s hands was free shows that even at this very young age, children can put themselves in the position of the person making a request in order to work out what is needed. As they acquire language, then, children also begin to appreciate the cooperative and rational nature of human communication. 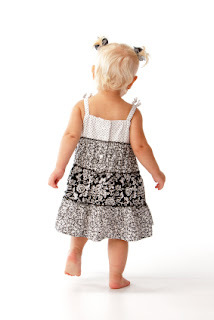 Gerlind Grosse, Henrike Moll and Michael Tomasello (2010) 21-Month-olds understand the cooperative logic of requests. Journal of Pragmatics 42: 3377-3383. Good morning madam, how are you today? Most research which has investigated the globalization effects on language has focused on the spread of English and the way that it supplants local languages, particularly in domains such as business, higher education and politics. But can globalization also entail the exportation of a particular speech style? Can people continue to speak in the language associated with their national or ethnic identity while using a speech style which is not necessarily associated with that same nationality or ethnicity? Researcher Anna Kristina Hultgren has been investigating the speech style of call centre operators. Operators are generally given very explicit instructions on how they must speak in interactions with customers and these rules are often incorporated in documents, taught in communication training programmes and regularly assessed. Hultgren identifies a ‘rapport-building’ speech style prescribed to call centre workers in four countries – Denmark (DK), Britain (UK), Hong Kong (HK) and the Philippines (PH). Although the call centre agents communicate in different language varieties, the prescribed speech style is very similar in all four countries. Across all four call centres agents are advised to make customers feel as though they are being listened to and in some cases are even given devices, such as ‘urgh huh’, ‘ok’ and ‘I know’, which they can deploy to show that they are engaged in ‘active listening’. Related to this, agents must also acknowledge the customer needs and make them feel understood. The agents are told that this understanding can be signalled by such things as ‘summarising’ (UK), ‘confirming’ (DK), ‘’checking/paraphrasing’ (HK) and ‘restating’ the problem, all very similar strategies. Equally important is the fact that the agents must make themselves understood. They are told to avoid jargon, technical terms and company-internal lingo, again a feature listed in the materials of all four call centres. Other ways that the agents are told to ensure that they are making themselves clear are by using ‘signposting’, ‘summarising’ or ‘headline techniques’; in other words, not just doing what the caller has asked them to do but also actively communicating to the customer what action they are taking. Finally, the importance of ‘empathy’ is highlighted across all four sets of materials. The agents are often told to engage callers in small-talk which is usually unrelated to the transaction in hand. Some of the materials even suggest topics for small talk. These can be such things as asking how the caller is at the beginning of the caller, asking about the weather or making general conversation. Is all this sounding rather familiar? In the second part of the investigation, Hultgren looks at the compliance to these prescriptive rules in British and Danish contexts. She considers eight different variables and finds no significant differences for four of those variables; ‘ending the transaction on a personal note’, ‘thanking the customer for the call’, ‘providing a summary of the interaction’ and ‘engaging in active listening’. However, for the other four variables –'greeting’, ‘acknowledgment’, ‘hold notification’ and ‘check understanding’ – there was a significant difference between the two countries. These differences are attributed to the Danish agents being more unwilling to engage interpersonally with the customer than their British counterparts. Despite these localized adaptations of the prescribed rules, Hultgren concludes by arguing that there is a global ‘call centre’ style, derived originally from ‘North-American cultural preferences for informality and rapport’ which is being exported independently of language. It is not about making everyone speak the same language but about letting them speak their own language but in a style that does not necessarily align with their ethno-cultural identity. Hultgren, A.K. (2011). 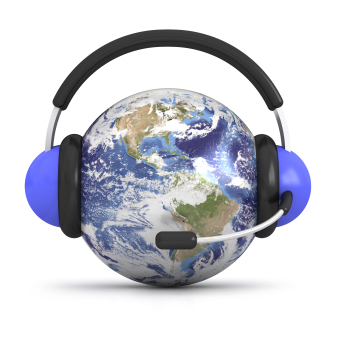 ‘Building rapport’ with customers across the world: The global diffusion of a call centre style. Journal of Sociolinguistics 15/1: 36-64. Why do people use phrases like and stuff? Researchers Sali Tagliamonte and Derek Denis analysed phrases like and everything, and stuff, and things, or whatever and or something in a 1.2 million word corpus of Canadian English and compared their findings with previous research from the UK, Australia, New Zealand and the USA. Their research confirms that these little phrases, often known as ‘general extenders’, have important functions in spoken language. The reason for using the term ‘general extenders’ is that forms like and stuff, and things, or something and or whatever often indicate that the previous word is part of a set, so they extend its meaning but without having to specify all the members of the set. For example, or whatever in you can get a hamburger or whatever refers to a set of things that could be on a fast food menu, including, perhaps, a hot dog or French fries. Referring to a set is not necessarily their most important function though. Sometimes people use these little words to be purposely vague, to signal that they are not quite sure about something. However their most important function seems to be to create solidarity between speakers. By using a general extender the person speaking suggests that their interlocutor shares their knowledge or opinion, so there is no need to be explicit. Perhaps this is why speaker A uses and stuff in the exchange above, where the speakers are talking only about a video, not about a set of things that includes videos. And stuff also marks the end of speaker A’s turn, as well as indicating that the video could become a topic of the conversation. Tagliamonte and Denis show that different types of language change in the general extenders are taking place in the UK and in Toronto. In the UK, older speakers prefer longer forms such as and things like that whereas younger people tend to shorten the forms to and things or and stuff. Also, older people tend to use a general extender form that matches the word or phase that they are attached to. For example they use and stuff with a mass noun that matches the idea of ‘stuff’, such as water or fun, and and things with a count noun like cats or dogs. Younger people on the other hand use a general extender as an independent form that doesn’t have to match the word or phrase that it is attached to. In the UK, then, general extenders are losing their original meaning of ‘stuff’ or ‘things’ and are becoming independent discourse particles. In the Toronto corpus older speakers as well as younger people use general extenders as independent particles, so this language change (‘semantic bleaching’) must have happened earlier than in the UK. However, in Toronto people of all ages use both the long forms and the short forms of the general extenders with about the same frequency. There is no evidence, then, that short forms like and everything are taking over from longer forms such as and everything like that, as they seem to be in the UK. Instead, a different kind of change is taking place in Toronto. People aged 40 and above have two favourite general extender forms: one with things and one with stuff (so they use many forms such as and stuff, and stuff like that, and and that kind of stuff as well as and things, and things like that and all that kind of thing). As speakers get younger, though, things plummets in frequency and its place is taken by stuff. This is different from the UK, where previous research suggests that there are social class differences in the forms that young people use: both and stuff and and things are preferred by young people from the middle classes whereas and that is associated with working class speakers. In Toronto, and that is rarely heard. A search on Google for the and stuff general extender forms found about 24 million hits, leading Tagliamonte and Denis to conclude that stuff has “plainly surged in frequency”. What remains to be seen is whether this surge will affect the general extender forms that are used elsewhere in the English-speaking world. Perhaps we will all eventually mostly say and stuff. Alternatively, a completely different new form may emerge. After all, new forms have continued to develop over the last 600 years. Whatever happens, these little words serve such important functions in conversation that general extenders in one form or another are bound to survive. Tagliamonte, S. and Denis, D. 2010 The stuff of change: General extenders in Toronto, Canada. Journal of English Linguistics 38 (4): 335-368. Eduardo is 14 years old. He speaks English and Portuguese. Eduardo’s mum can’t speak English, so she often asks him to help her. Eduardo is proud and pleased to help his mum but he is embarrassed when he translates for her at the doctors. Eduardo misses school some days because his mum needs him to translate for her. It is sometimes thought that this kind of translating and interpreting activity (‘language brokering’) imposes too great a burden of responsibility on young people like Eduardo, especially as it often involves explaining cultural differences rather than simply translating word for word from one language to another. However, a recent study gives a more positive account of language brokering. Tony Cline and his colleagues asked 37 young people aged between 15 and 18 to comment on the story vignette about Eduardo, as part of a larger study about young people’s perceptions of conflicting roles. 16 of the young people lived in monolingual white British families and 21 lived in bilingual families. 11 of the bilinguals had been involved in language brokering themselves, while the remaining 10 had no personal experience of language brokering. The main aims of the study were, firstly, to see whether young people with differing personal experiences of bilingualism had different views about language brokering and, secondly, to see what differences there might be between young people in multilingual areas in their understanding of the development of relationships between children and parents during adolescence. The 37 young people were first asked what they thought about Eduardo as a person and about his feelings. Their views of him as a person were almost all positive. They described him, for example, as cool, noble, helpful and nice. Some of the monolinguals, especially, were impressed by his language skills. Fewer young people commented on his feelings, but when they did, they mainly focussed on the mention of embarrassment. Some empathised with him, some said there was no need to feel embarrassed, and some suggested reasons for his embarrassment. Those with no experience of language brokering thought he might feel demeaned by his mother’s lack of English, but those with experience of this kind of situation suggested more searching reasons, such as feeling awkward about invading his mother’s privacy or being embarrassed at not being able to translate complicated vocabulary. A second question asked about Eduardo’s position within his family. Here all groups, bilingual and monolingual alike, highlighted the need for the mother to learn English and so relieve Eduardo of the burden of acting as her language broker. They also all recognised the tension he must feel between wanting to support his mother and needing to attend school. Young people who had themselves acted as language brokers were far more likely to suggest explicit strategies that could help, such as the mother going to language classes or Eduardo telling his mother what to say to the doctor rather than going with her. Finally, the young people were asked how Eduardo’s teachers and his friends might view his actions. In all three groups, contrasting opinions were given about how teachers would react, with some children thinking teachers would be sympathetic whilst others thought teachers would see Eduardo’s behaviour as ‘wrong’. Far more children in the monolingual group thought teachers would completely disapprove of his missing school. 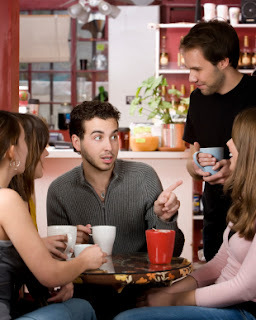 There were marked differences between the monolingual and bilingual groups about how Eduardo’s friends might react: those with experience of language brokering thought his friends would see his behaviour as normal, whilst the other groups were more likely to say that his friends would think it ‘strange’ or view it negatively. The researchers conclude that personal experience has an important impact on how young people perceive bilingualism. Their analysis showed that all the young people in their study accepted that during childhood and early adolescence a person’s chief responsibility should be to meet school requirements but that they should also meet family obligations. It also showed that they were aware of the tension between the developing autonomy in parent-child relationships whilst maintaining connectedness, but it highlighted different emphases in the balancing of this tension which was related to participants’ different personal experiences of bilingualism and language brokering. For links to English Language teaching resources and for a suggested English A level language investigation related to this topic click here. Tony Cline, Sarah Crafter, Lindsay O’Dell and Guida de Abreu (2011) Young people’s representations of language brokering. Journal of Multilingual and Multicultural Development 32/3: 207-220. 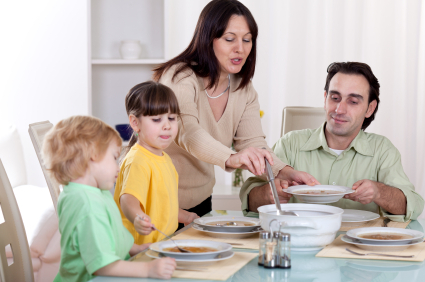 Imagine a mother is talking to her partner or another adult at the dinner table. Suddenly, her very young child, who has been happily eating her dinner, repeats something that the mother has just said. Many caregivers of children will be able to recall such moments, particularly as children have a knack of sometimes repeating the most inappropriate word! In the above scenario, young children are said to have a peripheral role in multiparty interactions; they are not fully developed language users and are considered to be ‘overhearers’, those who are not included as participants in an interaction but who nevertheless become hearers without much effort. As language socialization studies show, children gradually move from being overhearers to having a more central communicative role as speaker or addressee. But what happens in that intervening period and what strategies do children use in order to move from one role to the next? Marianne Johansen suggests that children adopt a position of creative imitator, repeating part of participants’ utterances in an imitative way, but also in a creative way because they do it in order to demonstrate attention to an interaction in spite of their peripheral position. She says that these are not merely imitations but social acts which allow the child to participate in the interaction from a non-speaking position. The researcher draws these conclusions from three videotaped dinner conversations of her own family, which includes the target child (her son) who was recorded between the ages of 2.2 and 2.4 years. Johansen gives examples of her son repeating descriptions of things such as ‘ceremonial hall’ and ‘bombs’, words that he had probably never heard before. The use of these words, she claims, is not to learn the words or to understand their meaning but should be seen as productive social acts in which the child makes an effort to contribute to the act of ‘describing an event experienced by a co-participant’. She also gives many other examples where one participant requests information, confirmation or assessment due to lack of knowledge and when a response is given by the addressee her son then repeats the response. There are also examples of her son gazing directly at the next potential speaker whilst uttering the repetition thereby demonstrating, she says, that they have an interactive function. The fact that the child participates at key moments in the interaction shows, Johansen says, that the repetitions are not random or unfocused but are used as a strategy to engage in talk with the other participants in that particular interaction. She concludes the paper by stating that she considers imitative repetitions to be a significant form of participation in language practice, with implications for the processes of language socialization. Johansen, M. (2010). Participation through imitative repetitions. Discourse Studies 12(6): 763-783. ‘Me pencil’s up me jumper’. Why do children say me for my? Recent research finds that in the case of 9-10 year old primary school children in Teesside possessive me has special meanings that are not carried by possessive my. Julia Snell did fieldwork in one working class and one middle class primary school in Teesside for 17 months, working as a classroom assistant and playing and chatting to the children in the playground. She gave radio microphones to the children so that she could record them chatting to each other as well as talking in class. Her analysis of possessive me is based on 50 hours of recorded speech from 20 children: 5 boys and 5 girls in each of the two schools. She was surprised to find that the children did not use possessive me very often – only 33 times out of a total of 670 first person possessive forms (in each school ma was the most frequent form, followed by my). Because possessive me was not very frequent she was able to study in detail all the 33 contexts where it occurred, something that researchers had not done before. Helen repeats what Nathan said but changes his pronunciation of my to me. Snell argues that in this way Helen makes it clear that she is ‘performing’ Nathan. By changing the way that he pronounced the word she simultaneously distances herself from him and aligns herself instead with the teacher and the other pupils at the table where they are working (it may be relevant that Nathan is a newcomer to the class). What these and the other uses of possessive me in these recordings have in common is that children present themselves as somewhat detached from what they are saying, adopting a mock serious and jokey stance. Of course this stance is not achieved just by using me instead of my. These sections of the discourse have other characteristics too. Sometimes they are spoken more loudly, sometimes the pace of speech is quicker, and sometimes there are lengthened vowel sounds (as in the Budweiser example above), laughter or emphatic stress. There may be local dialect forms. However all these other features can also be used to create other, different interactional stances, whereas me is used exclusively for the stylised uses described here. Furthermore the children only use possessive me with other children, never when talking directly to their teacher or when reading aloud. Snell argues that possessive me is more than just a non-standard, working class feature. Instead, the children in her study are “savvy sociolinguistic players” using this non-standard form very skilfully in interaction to construct a playful, jokey identity. Perhaps this is one aspect of a more general stylised working class identity. Previous research has found that possessive me is very widespread, occurring in most varieties of English throughout the UK (with the possible exception of Scotland, the Orkneys and Shetland) and in many varieties of English around the world. Other research in the Teesside region finds that adults use this form much more often than the children in Snell’s study. Perhaps its relative infrequency in the children’s speech indicates that it is beginning to die out in Teesside. Snell concludes that, if so, the children’s usage suggests that as forms become used less often they can take on a distinctive interactional meaning. It is rare for researchers to examine non-standard forms in their discourse context with as much detail as she did in this study, and she calls for more research of this kind, with adults as well as with children. Snell, J. (2010). From sociolinguistic variation to socially strategic stylisation. Journal of Sociolinguistics 14/5: 630-656. This summary was written by Jenny Cheshire. Do you use were in expressions like those above? Yes? Then the chances are that you are from the northwest of England. Historically, the use of ‘nonstandard’ I were and s/he were was more widespread and was even found in some counties in the south of England, such as Suffolk and Norfolk, but these days this dialect feature seems to be restricted to northern varieties. In the rest of the British Isles people are more likely to say I was, she was (these are of course also the standard English forms) but they will also use was in plural forms like we was. So when people in the rest of the country are saying was, why does the use of the were variety persist in the north? Researcher Emma Moore has investigated patterns of variation in speech among teenage girls in Bolton (once part of Lancashire but now included in the Greater Manchester area due to boundary changes) and found that the use of nonstandard were is still a robust feature in their dialect. Moore suggests that it continues to exist there because some of the girls use it to signal their localness to the area. The situation is more complicated than this though. This detailed ethnographic study follows the girls at school over a two-year period, starting when they were aged 12-13 and ending when they were 14-15 years old. Moore collected around 50 hours of speech recordings. Over this span of time she was also able to study the girls’ personal appearance and style, the people that each of them spent time with, the activities that they engaged in and the girls’ attitudes to their own membership of groups and towards other groups. From this information Moore identified four groups or ‘Communities of Practice’ (CofP) within the school; the Populars, who engaged in rebellious activities such as drinking and smoking and generally had an anti-school attitude; the Townies, a breakaway group who emerged from the Populars and who started to engage in even riskier activities such as drug-taking and sexual activity; the Geeks, who were ‘institutionally orientated’ and took part in school activities such as the choir and school orchestra and finally, the Eden Valley girls, a group of girls who came from a desirable home area, were also school-orientated and who engaged in activities such as dancing and shopping. All of the girls came from ‘upper working class’ or ‘lower middle class’ social backgrounds, reflecting the relative prosperity of the research location. Moore’s analysis of the data shows that there are certain internal (linguistic) contexts where speakers are more likely to use nonstandard were. For example, tag questions at the end of clauses as in ‘it was at Beverley’s party, weren’t it?’ and indefinite pronouns such as everyone in the expression ‘everyone were touchy-feely’ are likely to attract the use of nonstandard were. But it is the analysis of the external (social) constraints that shows the more fine-grained uses of nonstandard were. Firstly, the seven Eden Valley girls used standard was almost all of the time. This was the only CofP to have speakers who were exclusively from the higher social group. Furthermore, the distance of their home area from the school precluded them from maintaining friendships with girls outside of their home village and their social engagements tended to be within high status networks with individuals from a wide geographical area. So while the social practices they engaged in patterned with their use of standard English forms, the CofP itself was constrained by wider social circumstances, particularly social class. This of course corroborates with many other studies which have shown that the higher up the social scale a speaker is, the more likely a speaker is to use standard forms. However, the other three CofPs all draw members from both social class groups. The use of nonstandard were among these adolescents might therefore be seen as a reflection of their social practices, although this is not quite straightforwardly so and other factors also play a role. For example, the Geeks generally disfavour the use of nonstandard were and this may be because they engage with the institutional norms of the school and conform to using standard forms. However, four (out of a total of fourteen) of the Geeks do have high rates of nonstandard were. On closer inspection, these four speakers all come from the lower social class group and have at least one parent born in Bolton. In these cases, their strong local ties and obligations outside school may exert more influence over their language use than their interactions within school. Similarly, the Populars neither favour nor disfavour the use of nonstandard were but three (out of a total of fourteen) of the individuals in this group have no use of nonstandard were at all. These three speakers are all from the higher social class group and their wider social engagements also seem to exert more influence over their speech than their engagement with practices associated with the Populars group. It is the Townies group which highly favours the use of nonstandard were. The four Townies members are drawn from the two social class groups; two from the upper working class group and two from the lower middle class group. All four have at least one parent born in Bolton. What singles these speakers out from the others is not only their engagement in more rebellious social practices but also that their social networks include boys from some of the most working class areas of Bolton where the maintenance of this dialect feature is perhaps more steadfast. What is clear from this paper is that nonstandard were is alive and well in this northwest area but that there is not one single explanation to account for its use. Engagement in social practices was found to be important but clearly there is a complex interaction of both linguistic and social factors. Moore concludes by stating that this dialect feature will be maintained as long as it ‘maintains an active role in sociolinguistic practice’. Moore, E. (2010). Interaction between social category and social practice: explaining was/were variation. Language Variation and Change 22: 347-371.